The Centre for Faculty Development (CFD) is a partnership between the University of Toronto (UofT) and St. Michael's Hospital (SMH) - a fully affiliated teaching hospital. The CFD is committed to enhancing the academic development of faculty in the Faculty of Medicine, additional Health Science Faculties (i.e. nursing, pharmacy, etc.) at UofT, and other institutions through innovation, capacity building and scholarship in the design, implementation and evaluation of faculty development. In addition to this commitment, the CFD welcomes anyone, regardless of whether they have a faculty appointment or not, who has a role related to teaching, education and academic work in their healthcare organization or setting. Workshops at the CFD are devoted to the enhancement of teaching skills as well as mentoring, career development, scholarship in education and leadership. Free to faculty but early registration is advised. Organized by the CFD aimed at those interested in an immersion in teacher training and exploration of educator roles. Credits leading to a certificate can be earned by attending workshops (see above), journal rounds or other CFD presentations. Open access e-learning short modules that covers core topics in clinical teaching and learning in clinical medicine. 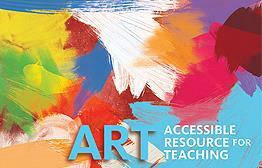 Strongly recommended as one-stop resource for all your Teaching 101 needs. Free, short, focused video-based modules created by the Centre for Faculty Development at the University of Toronto. These can be used flexibly by individuals or groups of teachers. Each module focuses on a teaching and learning topic that can be applied to the teaching practice context and incorporates reflection questions, videos and additional resources. Individual modules are designed to be completed in 15 minutes. Practical Prof provides concise, high-quality teaching tools for busy clinicians instructing medical students and residents. 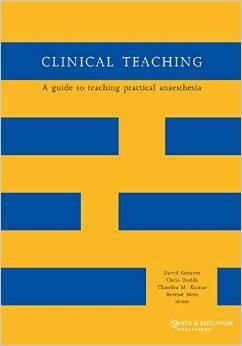 Although designed with the rural preceptor in mind, those new to teaching will find some helpful tips and tricks. 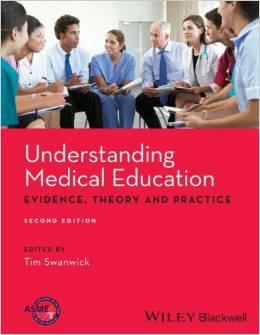 ABC of Learning and Teaching Medicine - series of articles written for the busy clinician teacher provides excellent ‘need to know’ knowledge written in non-educational language. Highly recommended. First published in the British Medical Journal these articles are available as free full text download from PubMed Central. or second version (2010) in published book format. This section is targeted at those that want to have a scholarly approach to teaching and/or those that want to network with other medical teachers/educators. This collaborative, international medical education network has been launched by AMEE through which organisations, medical schools and individual teachers and students across the world can share ideas, experiences and expertise and through which they can collaborate in the further development of medical further information can be found at: http://www.mededworld.org/. 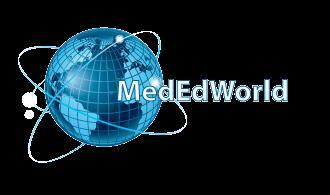 MedEdWorld membership is a benefit of individual and institutional AMEE membership. Offered by the Association of American Medical Colleges AAMC, MedEdPortal is a free peer-reviewed publication service and repository for medical and oral health teaching materials, assessment tools, and faculty development resources. 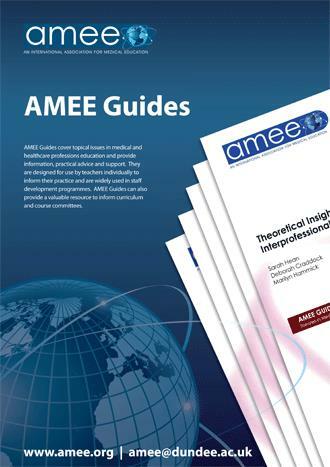 Best Evidence Medical Education (BEME) Guides are published by AMEE are of interest to a range of stakeholders in the healthcare professions including teachers, curriculum developers, administrators and researchers. Society for Education in Anesthesia is a US based educational organization for anesthesiologists who strive to enhance their abilities and scholarly endeavors in the field of education. SEA also has on online journal, The Journal of Education in Perioperative Medicine.